Adobe Illustrator CC 2018 is the industry standard vector-drawing environment for designing across media. Express your creative vision with shapes, color, effects, and typography. 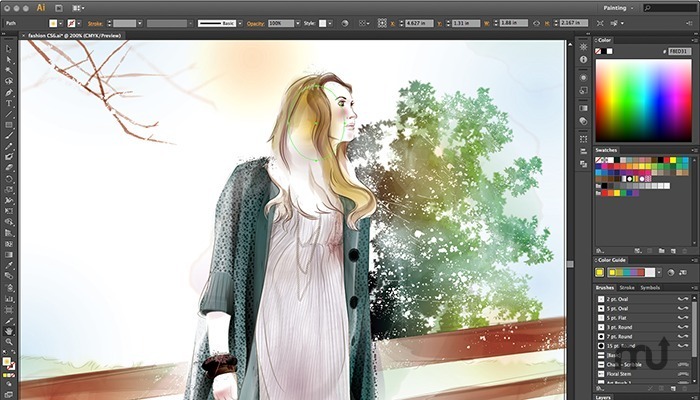 Work with speed and stability on large, complex files, and move designs efficiently among Adobe’s creative applications. Next story NoteBurner iTunes Audio Converter 2.3.5 – Convert DRM-controlled audio to MP3 or AAC. Previous story Adobe Dreamweaver CC 2018 18.1.0 – Build world-class websites and applications. Adobe Animate CC 2018 18.0.1.115 – Animation authoring environment for creating interactive content (was Adobe Flash CC). Muse CC 2015.1.0 – Design and publish HTML websites without writing code. SpeedGrade CC 8.0 – Color grading software.